Cybis Event Technology provides state of the art sound, lights, cameras, projection, audience interaction and connectivity to end clients for all sorts of productions: general sessions, annual meetings, awards ceremonies & MORE — contact us for rates! From two to twenty-four screens, high-powered video projection equipment or LED panels, we are fanatics about providing a visual experience that gives every audience member a near-front row experience. Cybis Event Technology makes use of high-definition projectors, monitors and LED displays that will best present the intense expressions on your CEO or keynote, the sense of victory in your award winners, or the detail of your custom show graphics. Cybis Event Technology goes beyond traditional lighting to offer the best and brightest for your upcoming event. We offer a full suite of conventional, intelligent, and LED lighting fixtures to fit your production needs. Our team of engineers are experienced in providing designs for broadcast stage environments, large-scale concerts, and intimate theatrical experiences. Beyond just sound amplification, the aural experience provided by Cybis Event Technology is designed to evoke powerful emotions. Audio is provided by industry-leading manufacturers including Yamaha, Shure, and JBL suitable for exhibit halls, grand ballrooms, theaters, and outdoors spaces. Our preferred Meyers Sound line array systems will ensure the audience captures every word of your presentation or note of your concert. 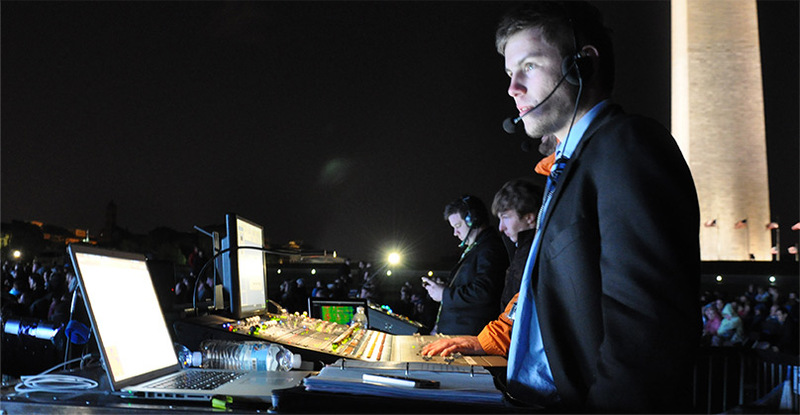 Our audio engineers can provide helpful solutions based upon the needs of your event. We recommend our state of the art, high-definition, HD broadcast-quality cameras. In addition, Cybis Event Technology offers robotic cameras for angles from discreet or unique locations. 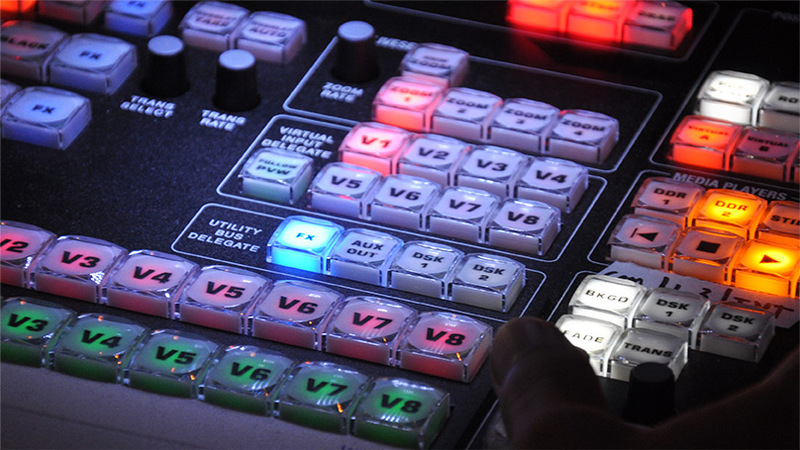 We provide high-end video switchers, including the latest Tricaster models for delivering big, live productions in HD. With a fully loaded 24-channel switcher, ISO recording, and the world's most powerful integrated effects system, the Tricaster is one of the most capable live switchers on the market. When your audience reaches beyond the ballroom or board room, a live Internet broadcast may be just what your organization needs. Share presentations with team members from around the country. Share special awards moments with friends and family across the globe. And do it all in real-time. Improve attentiveness and learning, engage the audience, and gather personal or critical data with an audience response system for your next meeting or conference. We offer proprietary audience response systems (ARS), SMS short codes and text-message interactivity, and mobile application integration. Cybis Event Technology partners with a national leader in satellite uplink services to deliver your presentation to regional headquarters, remote sites, or broadcast. 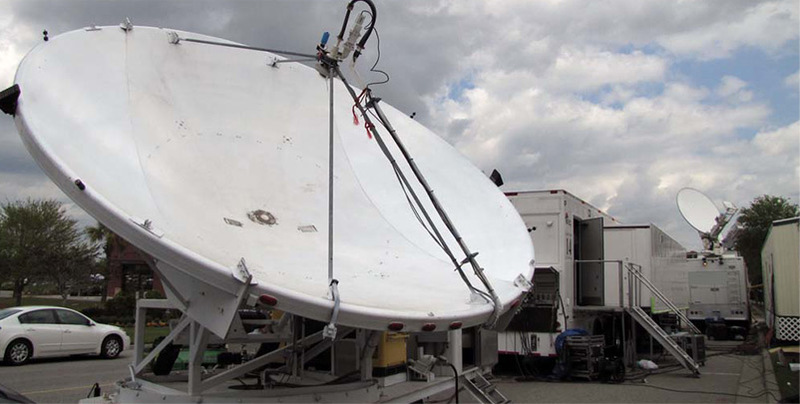 We provide a full service turn-key solution for all of your satellite uplink and production needs. In addition, we can, of course, supply camera crews in all video formats from Standard to High Definition. Our partner's satellite trucks are capable of multiple camera shoots for all of your news, sports and corporate events.